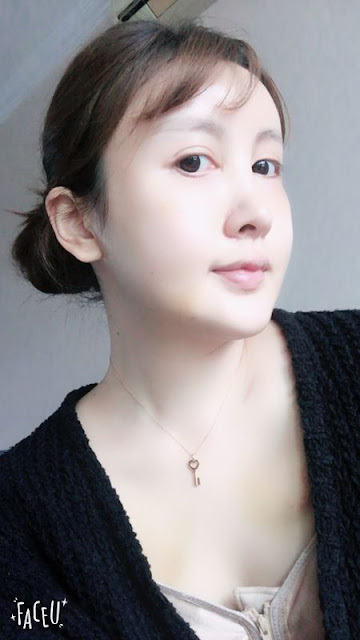 Quite a few patients get confused between AccuLift and fat grafting - both procedures are related to fat, and both procedures are quite big (as in the downtime is longer than simple injections like filler or botox) and both are anti-aging treatments. What's the difference? What are the effects? Can you do both at the same time? The answer to the last question is: yes, both can be done on the same day, and we will explain the procedures here in this blog post. 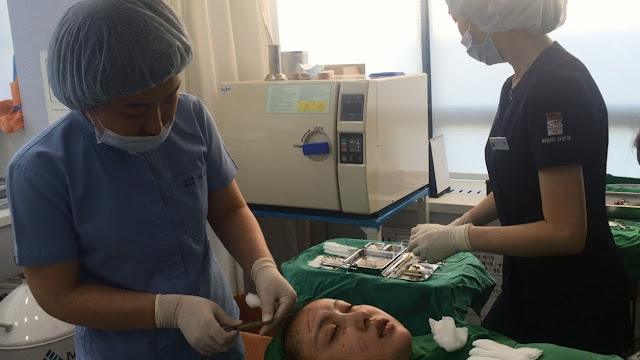 The following patient is from China and visited our clinic during the National Day holidays. 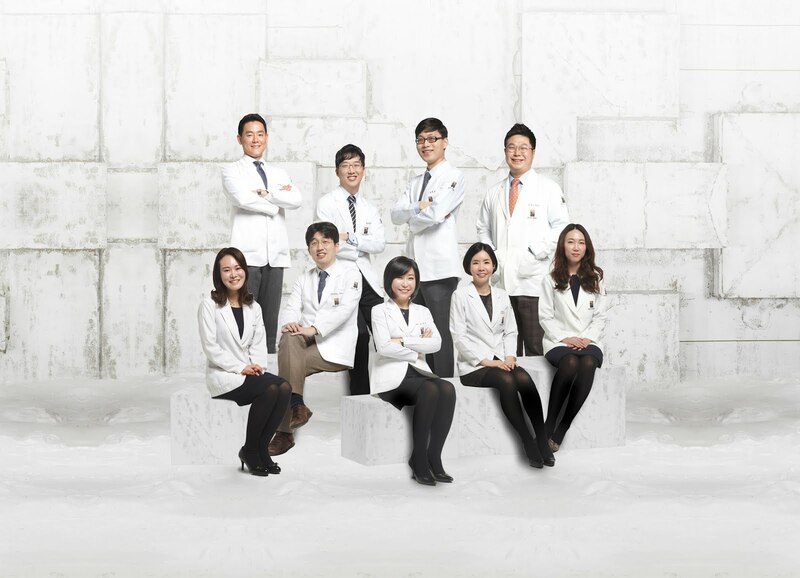 First and foremost, of course, is consultation with our dermatology specialist Dr. Ha Ji Hyun, along with our Mandarin translator. 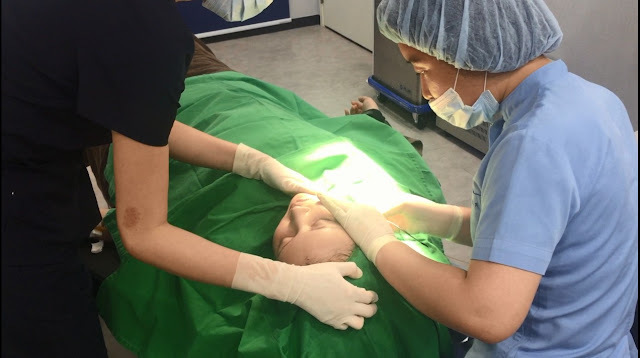 For the ultimate anti-aging effect, the patient has decided on fat graft for the forehead and under eyes, with AccuLift for the chin. FAT GRAFT is a procedure that extracts fat from the back of your thighs to be transferred over to areas in the face that lack volume. This means flat foreheads, sunken cheeks, etc. 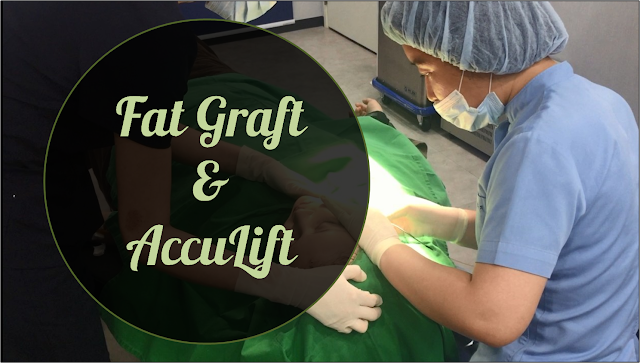 Generally, fat graft works best for large and wide areas such as the cheeks and forehead. Patients are sedated for fat graft procedure. At Renewme Skin Clinic, fat graft is a serious procedure that requires time and precision. 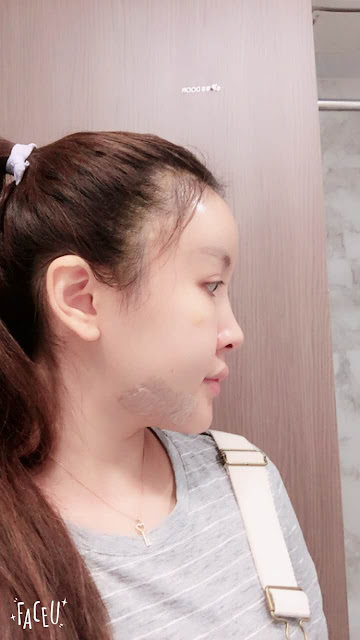 Unlike many plastic surgery clinics, we don't consider this a simple procedure that's done within a couple of hours, since it takes time and technique to sculpt the face so the patient is satisfied with the results. ACCULIFT is a procedure that dissolves and melts fat, while promoting collagen regeneration. This is also known as laser lipolysis. The laser is emitted from a needle that is inserted into the skin, which stimulates collagen while melting the fat which is to be extracted. Therefore, this is not to increase volume, but to remove excess fat while tightening the skin. 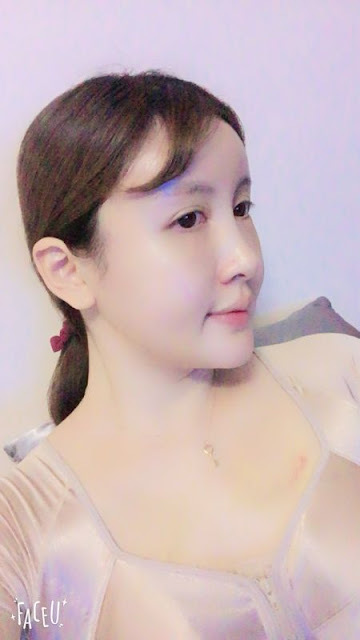 So this is a procedure not for sunken cheeks, but rather chubby cheeks or a double chin. Estimated downtime is about 2 weeks, and the post will be updated with complete pictures and progress! Stay tuned and feel free to contact us if you have any questions.